Hello and welcome to Hair Angel. We have been in business for more than 10 years. For most of that time the studio was located in Rozelle. Now we’re on Darling Street, Balmain. Our specialist services include hair colouring, colour correction, balayage, precision haircuts and styling. For an overview see the adjacent video clip and sections below plus reviews from our clients. At Hair Angel we work as a team. 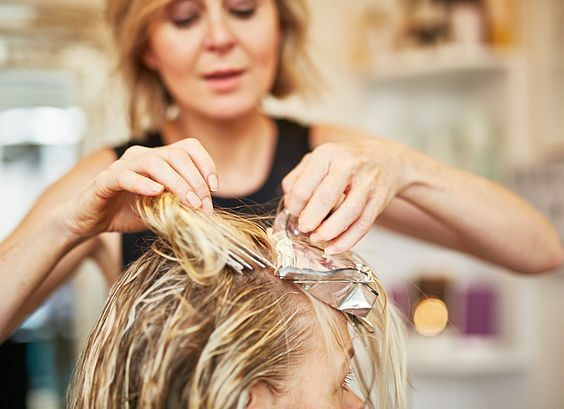 Regardless of how many years experience a stylist has, they are upskilled to the Hair Angel standard, this ensures a high level of expertise and consistency. We pride ourselves on our technical knowledge in precision cutting and colouring. We work this way to ensure that you get the very best hair every time you come to see us. We also pride ourselves on listening to you, we want to give you the very best hair that fits in with your desires and lifestyle. If you are looking for a hairdresser or hair stylist who really cares about you and your hair then you have come to the right place. 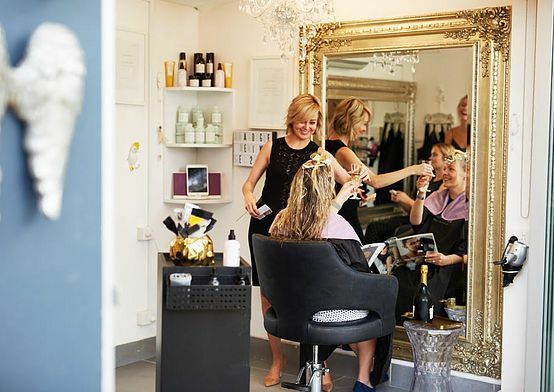 At the Hair Angel salon we specialise in precision haircuts, styling and hair colourist services such as balayage and colour correction. In particular we are blonde hair specialists. We are very passionate about what we do and we LOVE hair! So if you are ready for the best hair of your life, call or send an email via our contact page and we will arrange your first appointment. We can’t wait to meet you. To find out more see the services page which also features some ‘after’ photos of our clients. The most important part of my job is consultation. There is no point in me picking up my scissors or mixing colour unless I am totally satisfied that I know exactly what you want first. You know your hair better than anyone and I want to hear what you have to say. We need to put a plan in place so we can ensure that we can achieve the best possible cut and colour for you, your face shape, your skin tone and realistically the time you have to spend on your hair each day. This is a relationship built on trust, let’s get to know each other and give you the best hair of your life! For a map of our location, to review our business hours or send us a message via an email form see our contact page. Below are some of the 5-star reviews that clients have left on our TrueLocal page. 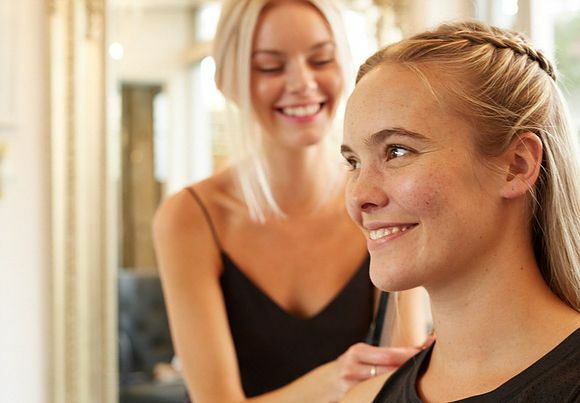 Testimonial by Sami C: “I have lived in Sydney for 8 years (and have been in the inner west for 5 of those years) and up until my appointment a couple of weeks ago, I didn’t think I was going to find a hairdresser to give my loyalty to. But now I have as Deb was not only an amazing hairdresser, but fabulous at customer service and really genuinely cares for hair and has a passion for it. The night I spent at the salon was great. It actually felt like a girls night in, which was a lovely way to unwind after a stressful day at work. I’m looking forward to my next appointment and working with Deb to slowly fix my hair and turn it into “a stylish, healthy, shining masterpiece”. These reviews are from The Hair Angel Google Business page where there are around 80 more to see. Studio formerly in Rozelle. 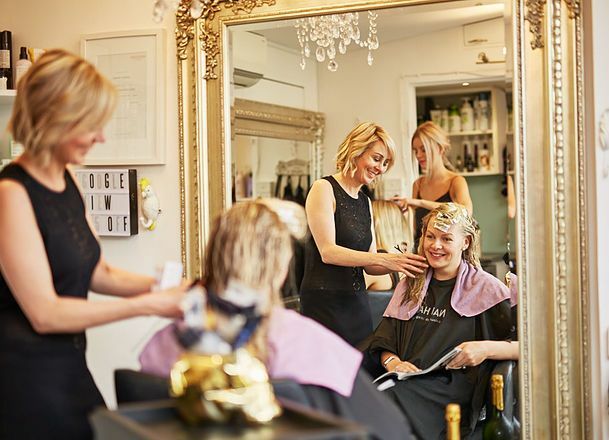 Boutique hairdressers, colourists and stylists for precision haircuts, styling, colouring, balayage and more. Do you love Hair Angel? Call us today to see how you can get $50 credit for referring a friend!